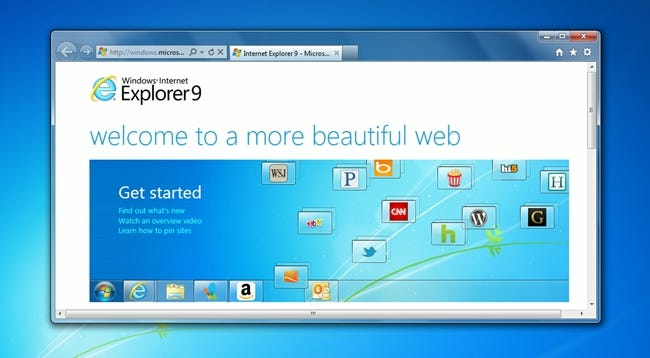 Microsoft has released the final version of Internet Explorer 9, and there’s just one question you should be asking yourself: Should I bother installing it? Here’s everything you need to know about the latest release of Microsoft’s infamous browser. Spoiler alert: If you are running Windows 7 or Vista, you should absolutely install IE9 on your PC—even if you prefer Chrome or Firefox, it’s better to have a secure, updated version of Internet Explorer. If you want to see the full list of changes with all the original marketing detail, you can read Microsoft’s IE9 Download page, but here’s the highlights that you might be interested in. Completely New Interface – as you can see in the screenshot above, there’s a completely new interface, designed from the ground up to save space on the screen—in fact, it uses even less pixels than Google Chrome. Hardware Acceleration – IE9 is the first browser that taps into the power of your video card to make everything faster, by default. This browser is blazing fast, all around. 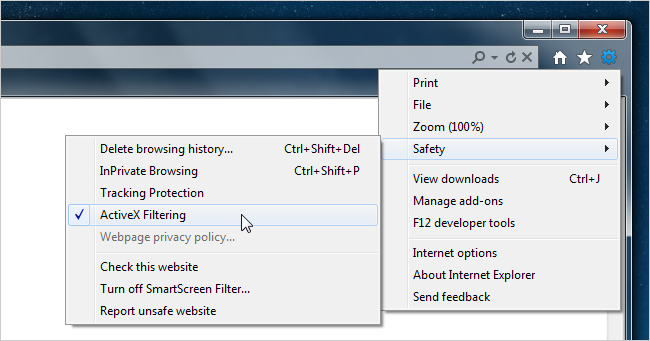 Pinned Sites – While Google Chrome might have started out with their web applications concept, IE9 takes it to another level by allowing site owners to customize the menus for sites pinned to the Windows 7 taskbar. 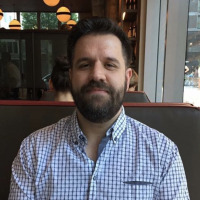 HTML5 Support – Microsoft has finally learned from their past mistakes, and focused on getting IE to the point of compliance with internet standards. There’s a lot of whiners out there that say Microsoft didn’t make it work well enough, but I think it’s a good first step. Combined Search / Address Bar – IE9 integrates the two boxes together into one, and even adds search suggestions that work quite well, similar to Google Chrome’s combined omnibox. There’s a ton of other, smaller, features below the hood, but these are the most interesting features. We’ve also highlighted some of them in screenshots below. Where Can You Download It? We’ll have to assume that eventually Microsoft will offer IE9 through Windows Update, but for the moment, you’ll need to click the following link to download IE9. Remember to pick the right version for your operating system. Screenshot Tour: Shiny New Stuff! Alright, so, if you’ve been reading How-To Geek for a while, there’s nothing really changed between this version and the release candidate that we previously covered—but for the rest of you, here’s some pretty screenshots to show what it’s all about. Want to see just how great the performance is? 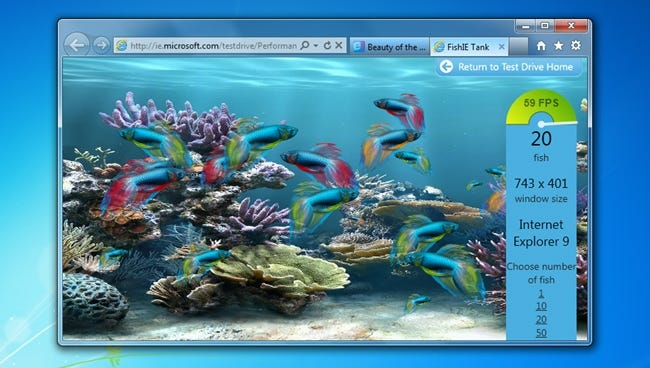 Head over to the FishIE Tank experiment page, where you can see full hardware acceleration in action. It’s pretty impressive. The new combined search/address bar is smart, and it’ll provide interesting suggestions right there in the browser itself. One of my favorites is the weather checker, which actually shows an image based on what’s going on outside. You know, cause looking out the window isn’t very geeky. If you don’t like the combined Address Bar and Tabs on the same row, you can right-click on any of the tabs and choose “Show tabs on a separate row”. Note that you can also drag the divider between the address bar and the tabs to resize the address bar. I totally stole this screenshot from Microsoft’s marketing page, since it does a great job of showing how the pinned sites feature works. 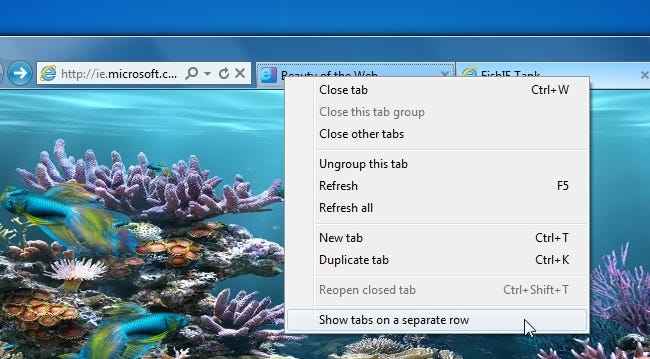 Just drag the tab for any site to the taskbar, and voila! New pinned tab with a fun icon! Right-click on that tab, and you’ve got a custom jump list… at least, if that site has implemented the IE-specific features. From now on, whenever you go to a site that tries to use an ActiveX control like Flash, you’ll have to click the little icon in the address bar to enable it. Awesome! There’s a lot more features, but we’re not going to bother with screenshots. Why? Because you should install it and see for yourself! For the record, I’m a Google Chrome user, and while I do really like the new IE9, I’m sticking with Chrome… but I still recommend that you install IE9 on your PC if you possibly can. There’s just no need to have an insecure IE8 sitting around, and even if you turn off Internet Explorer, there’s still a ton of applications that utilize the underlying components, and you should consider installing it the same as patching your PC for the latest security holes. And who knows… you might just like it.